The table finds its inspiration in reflections concerning questions of centre and order. 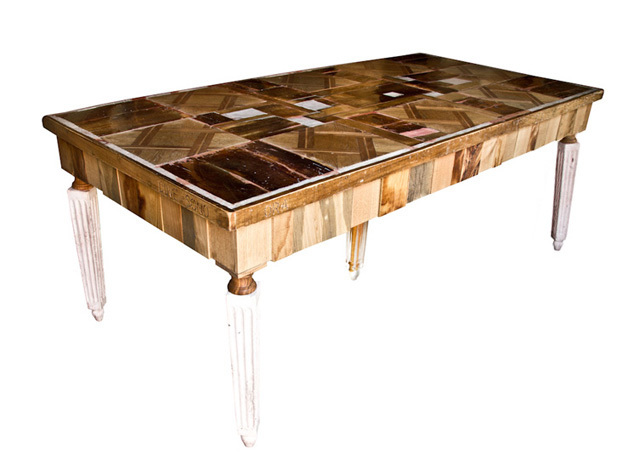 This solid table with 5 legs, adapted for living room use, is made from recycled chestnut and nut wood, cement, marble powder and epoxy resin. 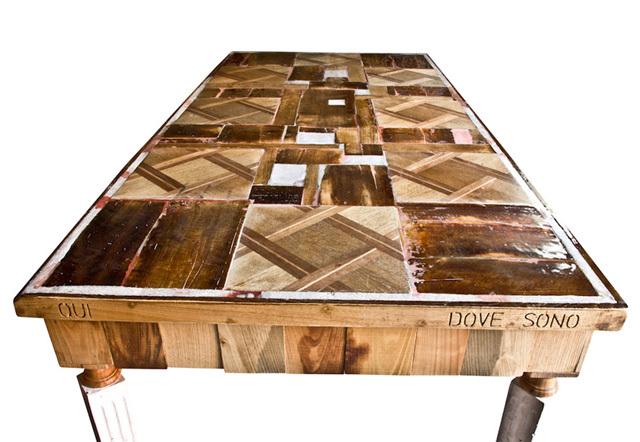 Eight pieces of an old floor transform into a tabletop in order to establish a visual sitting order for 8 people. The form of the table legs was taken from an original wooden leg from the 18th century. Four of these table legs are made of rosé marble cement but the fifth, in the centre of the table, is different. 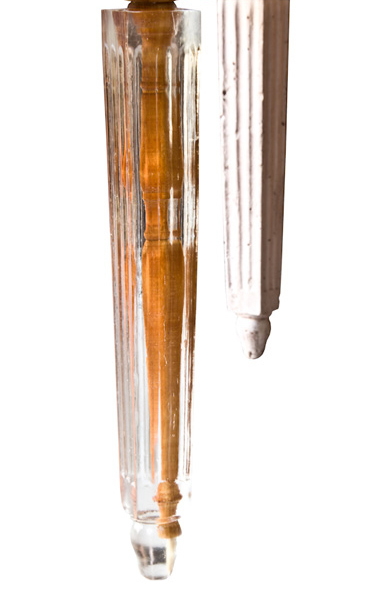 The central table leg is made of transparent resin, which permits a view towards the inner structure, which is made of a wooden leg. It is the only one of wood in this construction and symbolizes the true center. The Italian phrase, which is engraved around the tabletop, emphasizes the concept. Dimensions: cm L 200 x D 97 x H 80 | unique editions: 7 + 1 a.p.